IFest: The Best Houston Has to Offer (For Extra Credit)! Have you ever wanted to travel to Argentina, Australia, Brazil, the Caribbean, China, India or Ireland? How can you do that without buying a plane ticket, getting a passport, or taking time off from work? There is a way to do just that in the cosmopolitan city of Houston, which is one of America’s most diverse urban areas. It’s called the Houston International Festival (or IFest for short). For two weekends (this year April 26-27 and May 3-4), downtown Houston becomes another place on the planet. Literally. The countries/regions that I just listed have been the featured cultures at IFest in the last six years. If you want to visit Australia in the next two weekends, head to IFest because that is the highlighted country this year. The culture of “the land down under” will be presented with a lot of activities. I must say as an American expatriate, I always resonated with the Aussies I met traveling or working. They are a lot like us Americans, yet also a little bit different (in a very good way) so it should be a lot of fun. Between 100,000-150,000 people visit IFest annually. This is probably the largest international festival in the United States. When I teach Intercultural Communication here at HBU, I offer students extra credit to attend the festival and then have them write a paper about the food, music, and cultural artifacts that they observed using the theoretical concepts we learned in class. There is a lot to eat, hear, and see! Let’s start with food…always a favorite topic in intercultural communication. Where else can you get Argentinean empanadas, Greek gyros, Jamaican jerk chicken or Vietnamese spring rolls all in one day? Really. It is the best way to try something new because there are more than 40 restaurants providing different types of food at the festival. My guess is that the Australian spread Vegemite (a dark brown food paste made from yeast extract, vegetables, and various spices) will make an appearance. Now on to music. IFest always has an outstanding musical line up. There are between 6-8 music stages each year. They typically feature musical acts from the genres of Americana, Blues, Country, Jazz, Reggae, and Tejano. Additionally, you can listen to music from various international artists. This year we have the opportunity to watch the headlining artists Asleep at the Wheel, The Family Stone, Laura Mvula, and Los Malditos Cocodrilos. We’ll definitely hear the unofficial Australian national anthem “Waltzing Matilda”, which brought the 2000 Sydney Summer Olympics to an emotional end. Finally, observing cultural artifacts. There is a juried Art Market, as well as other markets that sell items from various parts of the world. You can find everything from clothing to didgeridoos to soap. 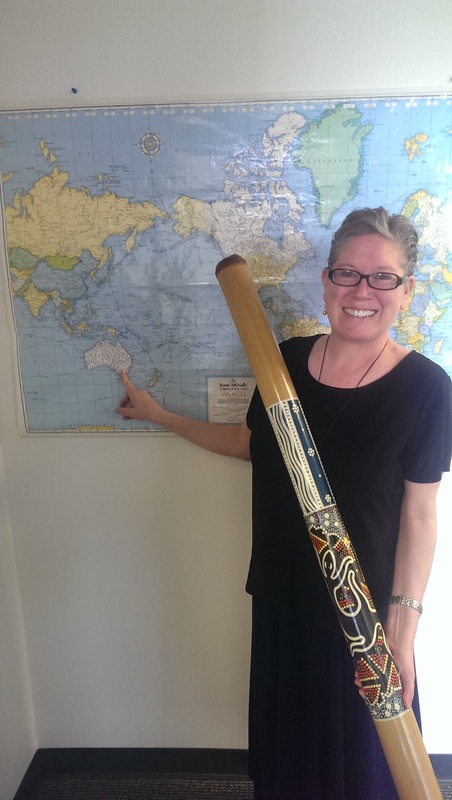 What is a didgeridoo you may wonder? It is a wooden wind instrument made by Indigenous Australians that has a very unique sound. Also, depending on the time of day, or the weekend, you may be able to engage in the intercultural experience of “bargaining” on the price of the item that you might want to purchase. Of course this is always an interesting intercultural experience, no matter where in the world you are. I encourage you to check out IFest. It truly is an interesting day trip, especially if you are new to the Houston metropolitan area. You don’t need to be in my class to get the extra credit. Just enjoy yourself and the wonderful Houston weather at this time of year!